An example of honey in Hawaii. Throughout time, people have used honey as a delicious dessert topping, sweetener and medicinal ointment. Not only useful as a sugar-replacement, honey is a remedy for scrapes, dryness and even arthritic pain. When ingested, honey promotes immune system health and digestion. It’s even a cure for seasonal allergies and works as an anti-inflammatory agent. Honey is delicious on toast, muffins, cakes, yogurt, blended drinks and hot beverages. Hawaii has a number of prominent honey-producing companies. Here is information about honey in Hawaii as well as where you can find and taste it. One of the most valued Hawaiian honeys comes from the blossoms of kiawe tree. The kiawe is a tree native to South America and related to the mesquite found throughout the mainland southwest. It flourishes in the drier, leeward areas of the Hawaiian Islands. The tree’s flowers produce one of the best and most unique honeys in the world. The milky white honey is raw, unrefined and organic, having subtle floral and tropical notes. To render the honey perfectly, one must harvest it at the right time. This is to prevent it from fermenting or becoming hard. This is why many consider kiawe honey in Hawaii to be a premium type of honey. Because of this, it would also be a valued gift to anyone back home. 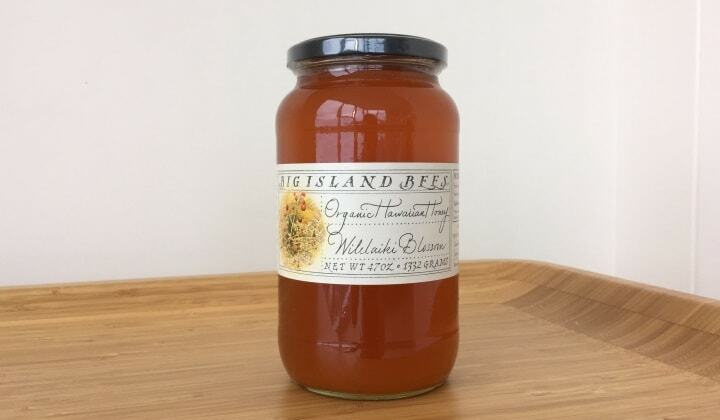 Within 1,000 acre of kiawe forests, this company produces rare kiawe honey. To preserve its natural form, the company specializes in selling raw and unfiltered kiawe honeys. They sell unflavored honey as well as those with flavors from ginger, lilikoi, lehua, lavender and macadamia. They also make good use of the beeswax by selling candles, lotions and body oils with kiawe blossom scent. Like many Hawaiian honey makers, the Manoa Honey Company offers a variety of flavorful honeys. The products come from a wide range of blossoms creating an array of honeys. Examples include: ohia lehua, wilelaiki, mixed blossom varieties and their Crater Kiawe and Manoa Meli brands. The company also offers raw honeycomb, fresh bee pollen and beeswax candles. This company produces kiawe honey without any additives. Offering the most authentic raw honey products, they harvest the honey naturally and do not use pesticides. The end product is a rich and buttery honey which you can even purchase in bulk in 22, 9 or 3.4 ounce jars. Big Island Bees has been family owned since 1972. It offers tours of their hives and museum for any visitors stopping by. Their 100% certified organic honeys are distinctly light and fresh without using heat, filtering or blending. Their specialties include ohia lehua, plumeria and cinnamon honeys. But the company also sells moisturizing hand soaps and miniature gift collections. On remote Molokai, this delightful bee farm is famous for creating gourmet raw kiawe honey. They protect their bee colonies from mainland diseases and mite infestations. Moreover, they only use bees native to the island to produce their honey. In addition to kiawe honey, the company makes and sells lip gloss, salad dressings, healing salves, candles and even surfboard wax. They sell these specialty products only at their store. So, you’ll have to visit the farm in person to purchase these items. Travelers on Oahu can visit a honeybee farm at the North Shore Hawaiian Honey Bee. Here, they price products for affordability. This is because one of the company’s goals is to put healthy honey into as many hands as possible. They make their honey from mango, lemon, papaya, kiawe, eucalyptus and banana blossoms. Customers can purchase a wide range of honeys including dark shade, light floral and in mango or papaya flavors.